2017 Toyota Corolla MPG Ratings Revealed! The 2017 Toyota Corolla MPG ratings aren’t the only great thing about this car — it also provides the agile performance that drivers from Santa Ana and Culver City have come to expect of the Corolla line. You’ll find two power options to deliver smart driving dynamics and two transmission options to artfully refine your ride. Here’s everything you need to know. The 2017 Toyota Corolla allows Santa Ana and Culver City drivers the freedom to choose between two separate power options. The base engine is a 1.8L inline four-cylinder that is able to put drivers in command of up to 132 hp and 128 lb-ft of torque. 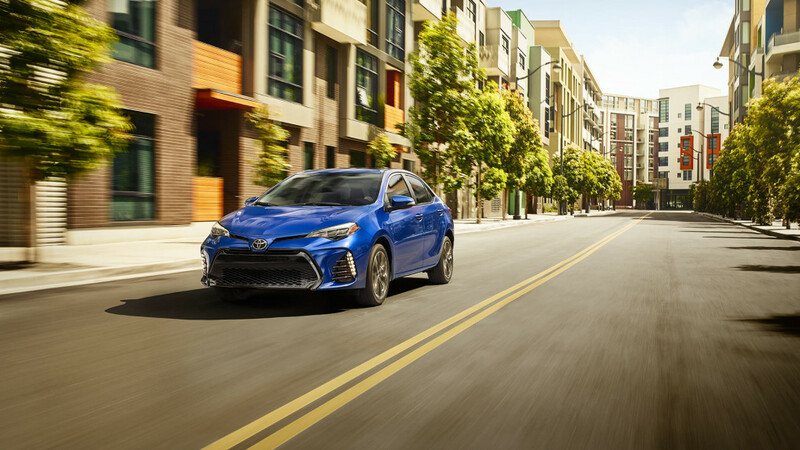 Acceleration is impressive, so you’ll enjoy taking the Corolla on a spin through the city, but the vehicle stays calm and controlled when you need to take it to highway speeds. For an extra dash of performance, you can add Valvematic engine technology. It reduces drag when you’re operating at higher speeds and broadens the torque curve. With Valvematic, expect to have up to 140 hp and 126 lb-ft of torque on tap. CVT: Achieve up to 28 mpg in the city and 36 mpg on the highway,** or up to 30 mpg in the city and 40 mpg on the highway* with an Eco model. Such efficiency ratings aren’t just due to the Corolla’s state-of-the-art powertrain. The sporty design speaks of hour upon hour spent in the wind tunnel to make the vehicle slip through the air with ease. You’ll even be able to hit the available ECO Mode button to optimize interior and powertrain systems to achieve maximum efficiency. If you’d like to test the 2017 Toyota Corolla mpg ratings for yourself, feel free to contact Marina Del Rey Toyota to arrange a test drive. We welcome drivers from Santa Ana and Culver City, and we hope to see you soon! ** 2017 EPA-estimated city/highway mileage. Actual mileage will vary.